Perfect for making an inexpensive compact astronomical telsescope with quality optics. We include everything you need except a small piece of tubing (can be plastic, cardboard, etc). 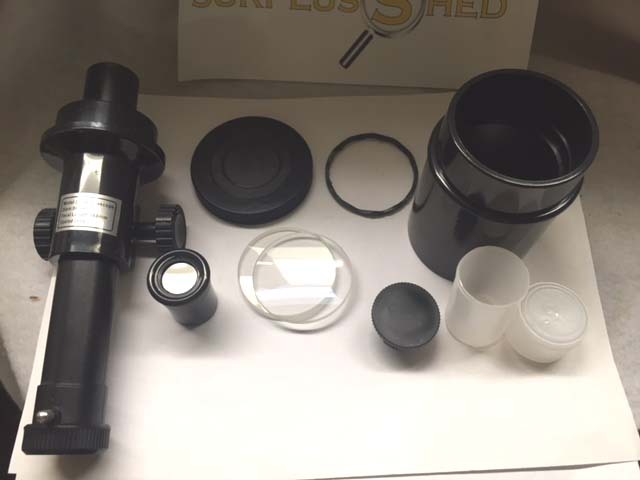 You get everything shown in the photo: focuser, one 0.965" size eyepiece with a 16mm focal length and nice field of view, 2 element coated achromatic objective lens set (50.8mm diameter with a focal length of 360mm), lens holder, protective covers, and instructions. Perfect educational scope for kids. New.